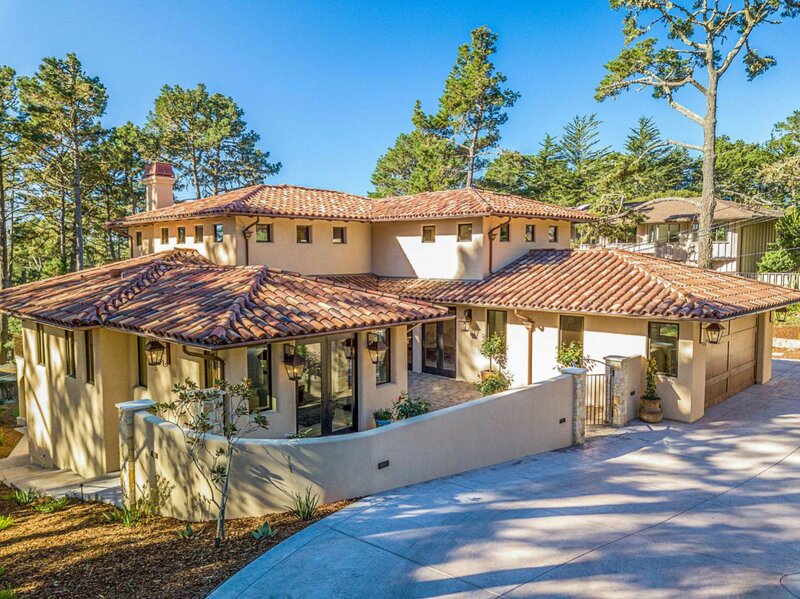 Brand New Pebble Beach Mediterranean. 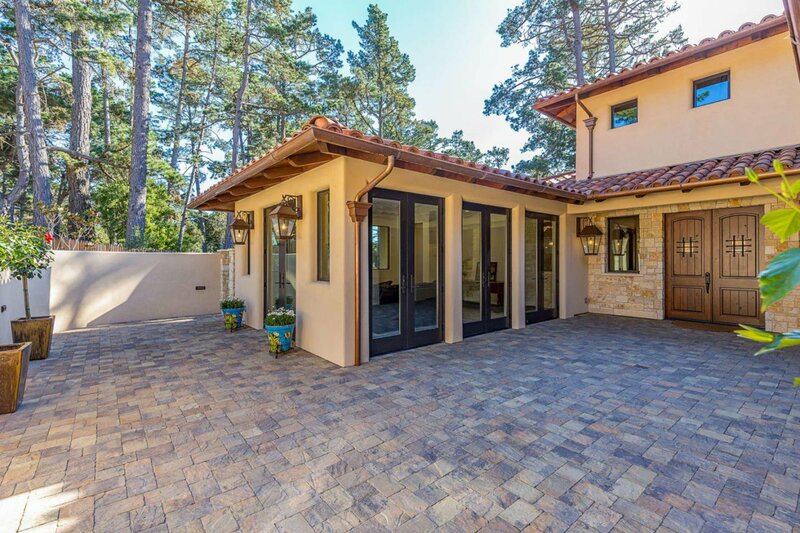 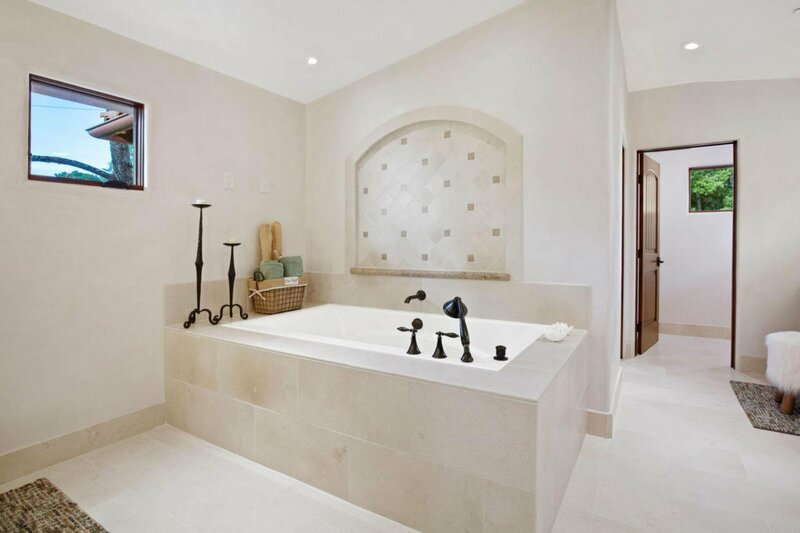 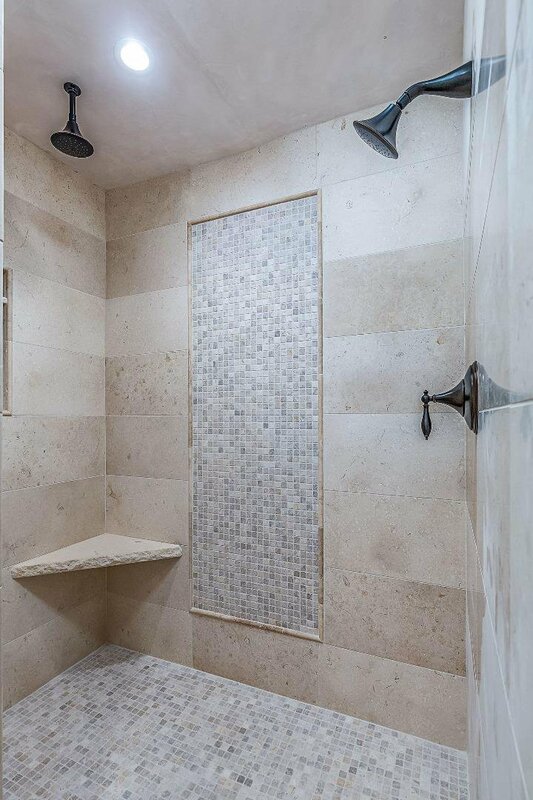 This brand new Pebble Beach Mediterranean home is conveniently located with easy access to all Peninsula points. 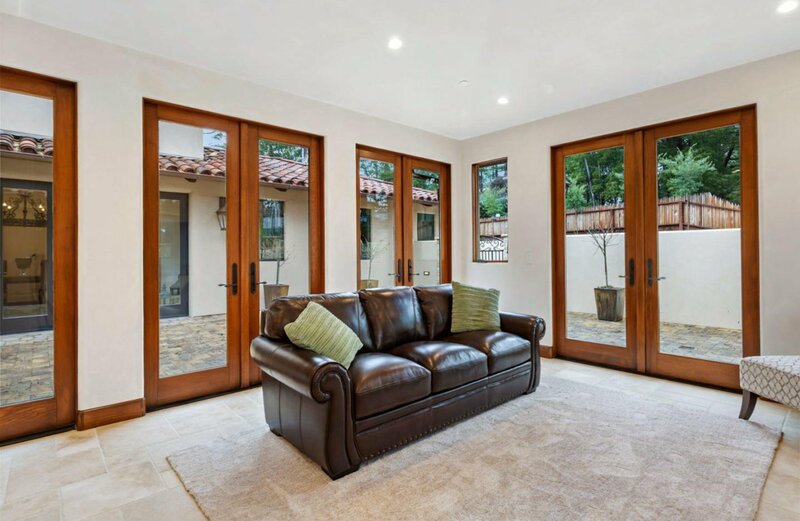 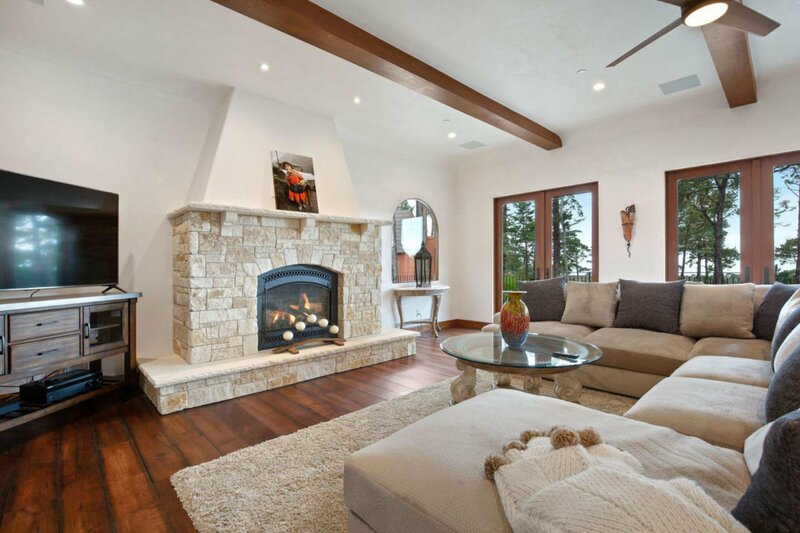 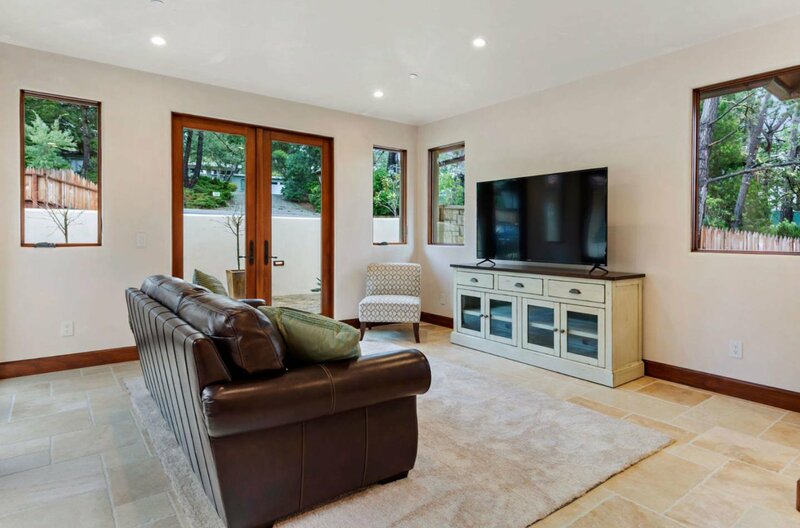 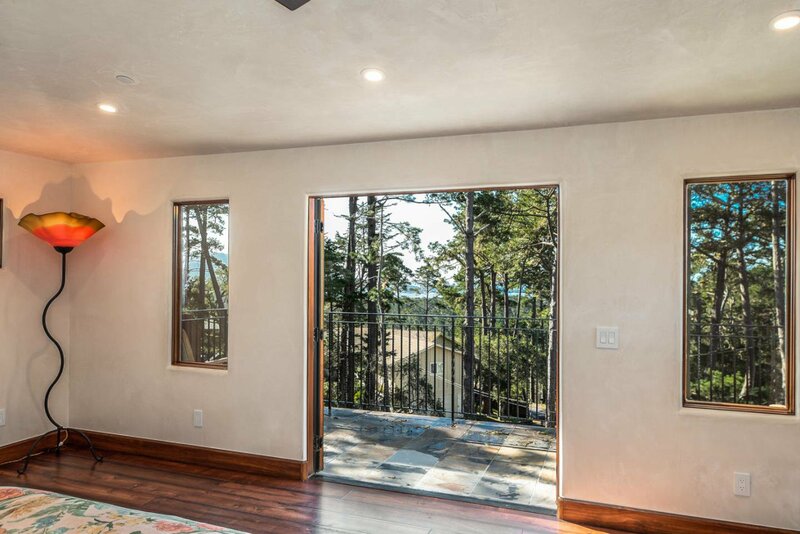 The spacious living room with oak floors and Carmel stone fireplace boast ocean and Point Lobos views and opens to a spacious deck with sunny exposure for comfortable outdoor living. 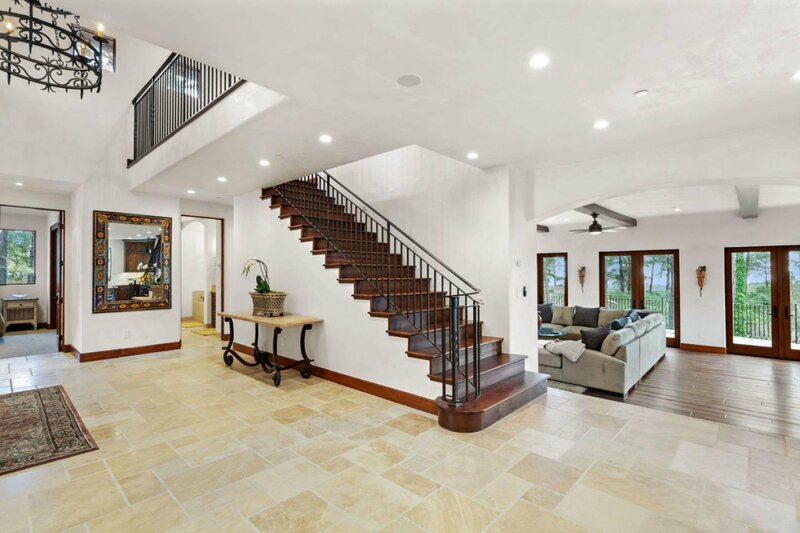 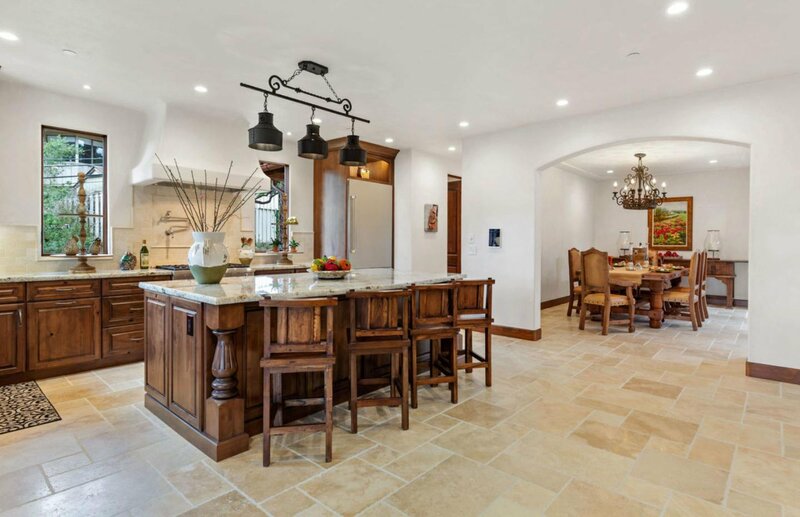 The home features a grand entry with cathedral ceiling and wrought iron chandelier. 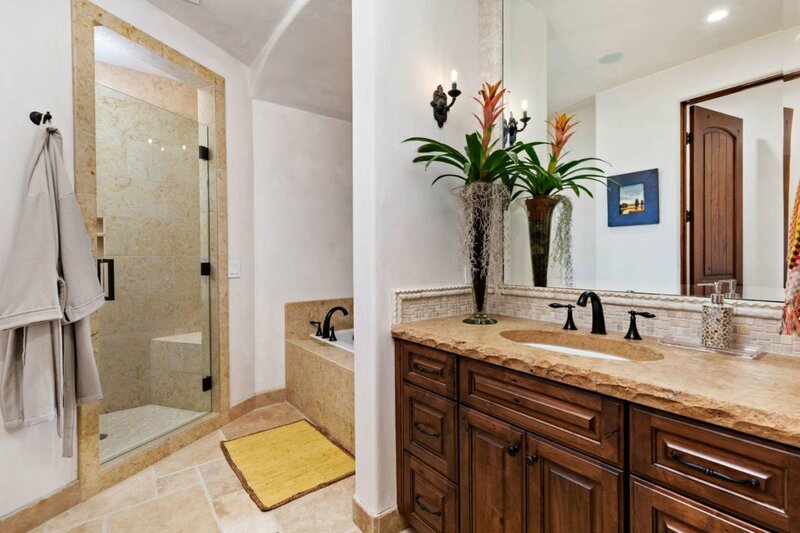 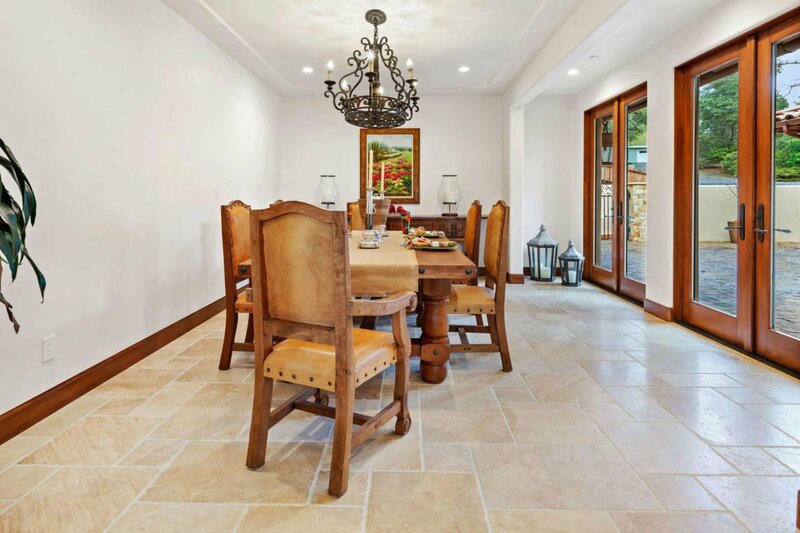 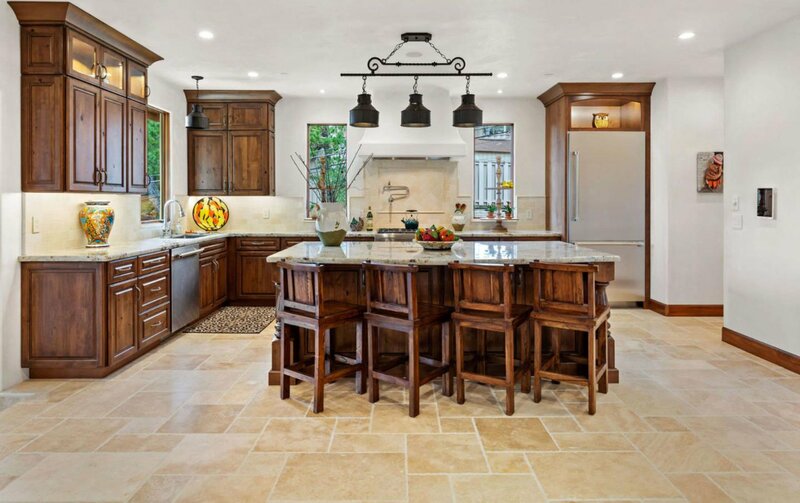 The gourmet kitchen has beautiful granite island and countertops and limestone tile floors. 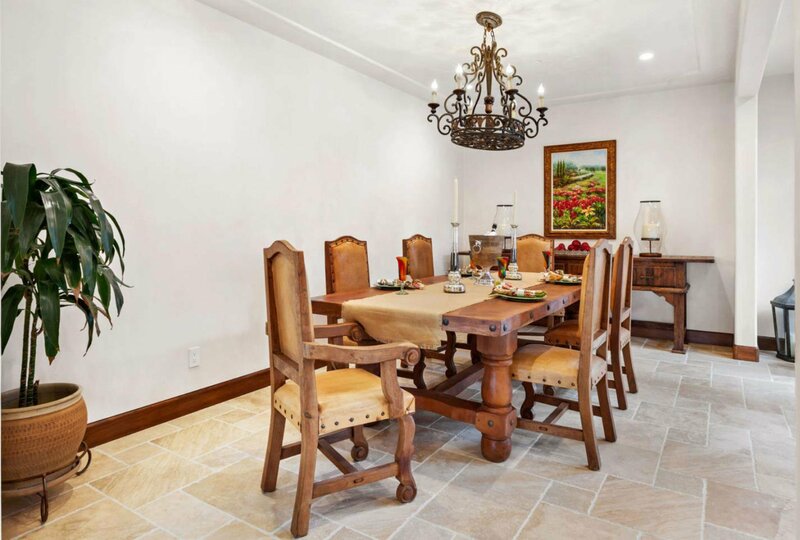 There is a separate dining room and a comfortable family room. 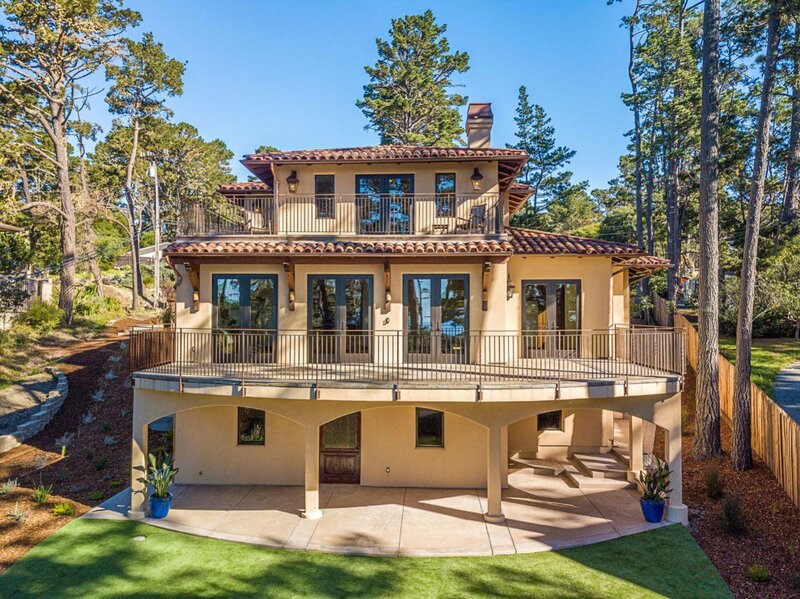 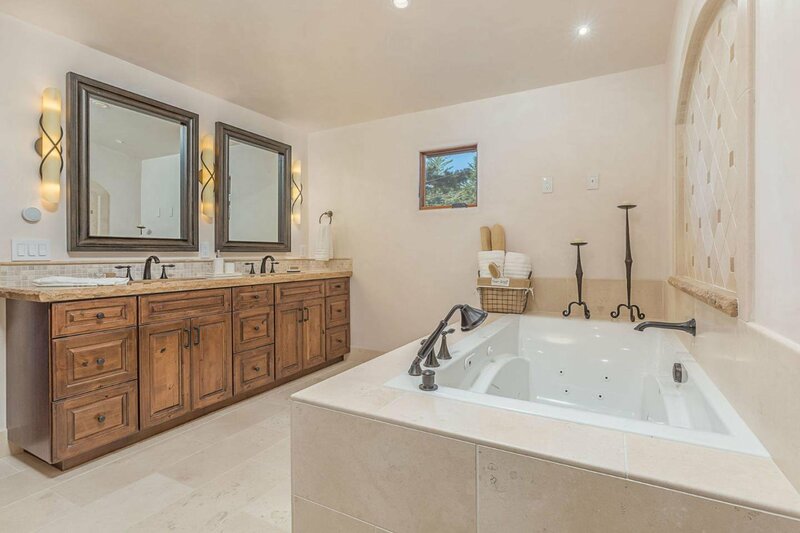 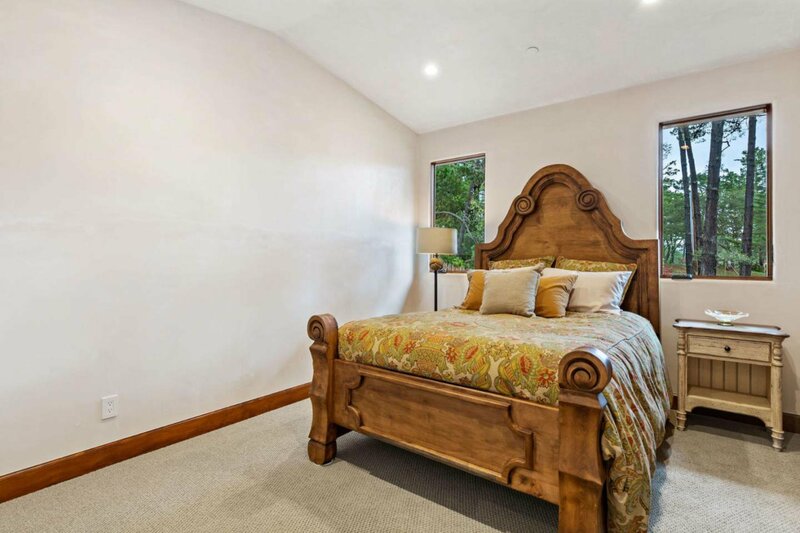 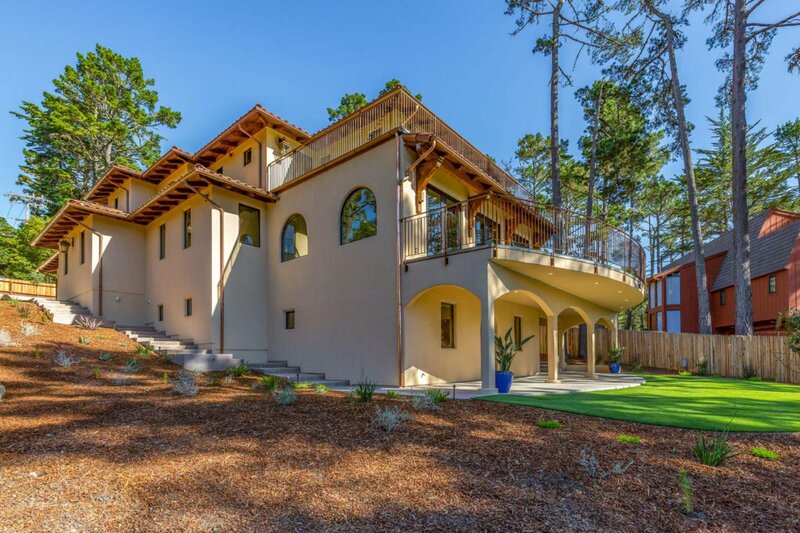 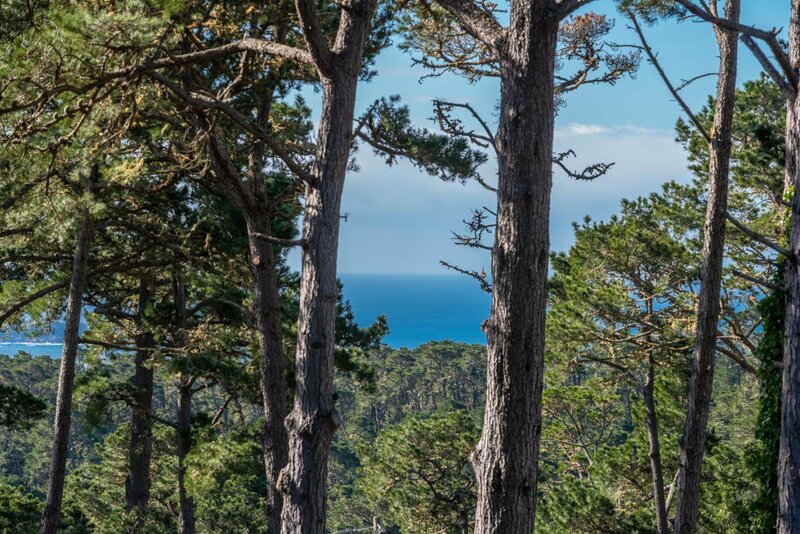 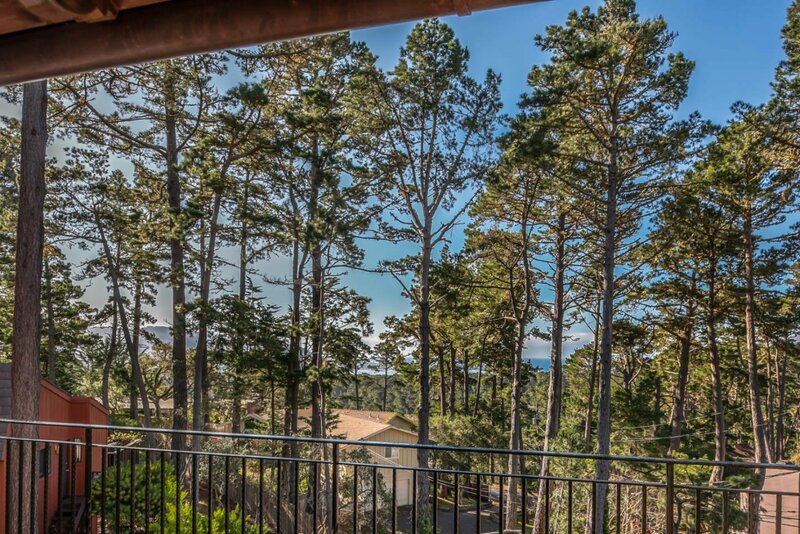 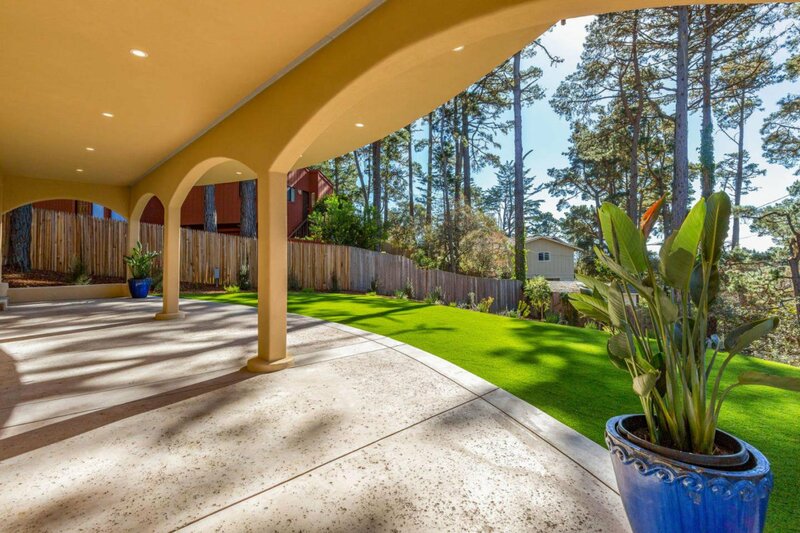 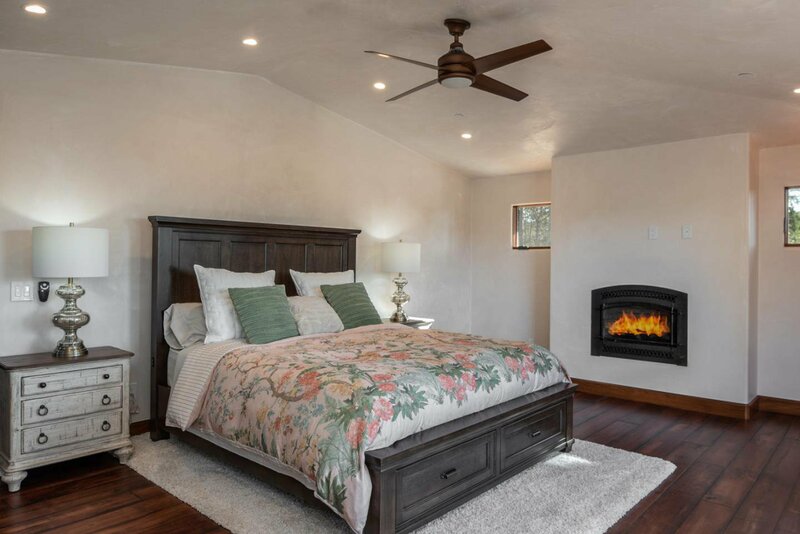 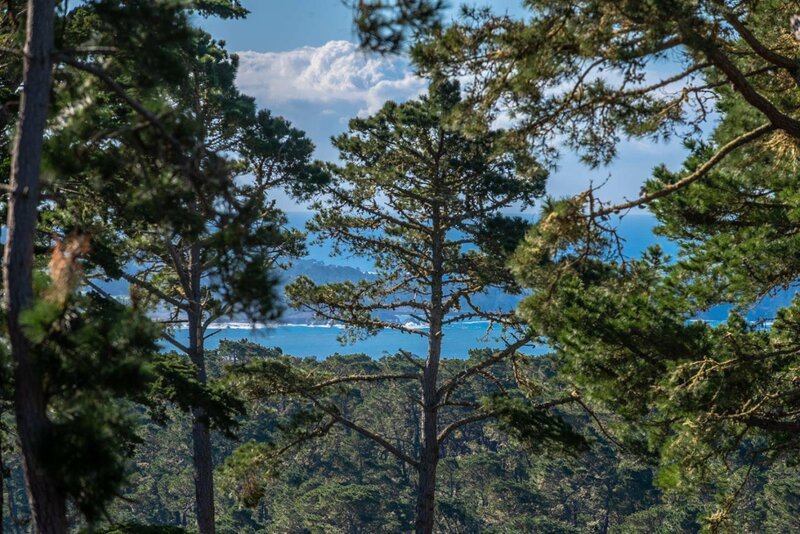 The private upstairs master suite with an adjoining spacious office or den has a warming fireplace and enjoys tree top ocean and Point Lobos views. 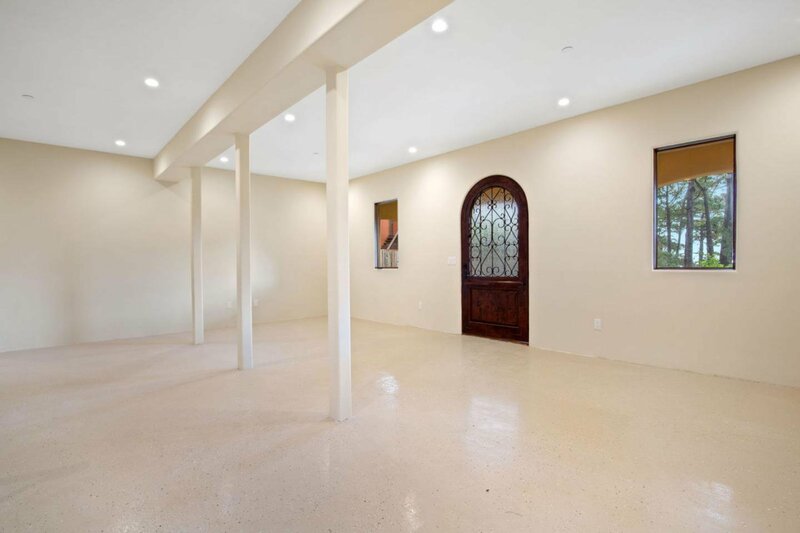 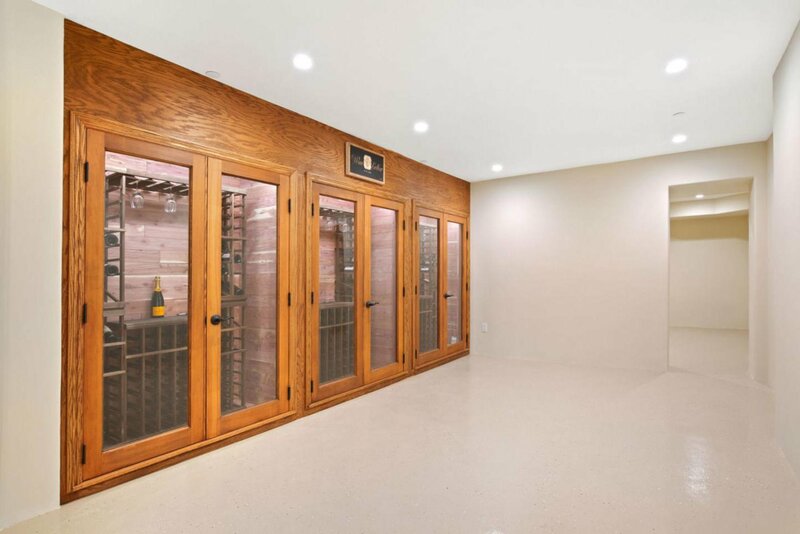 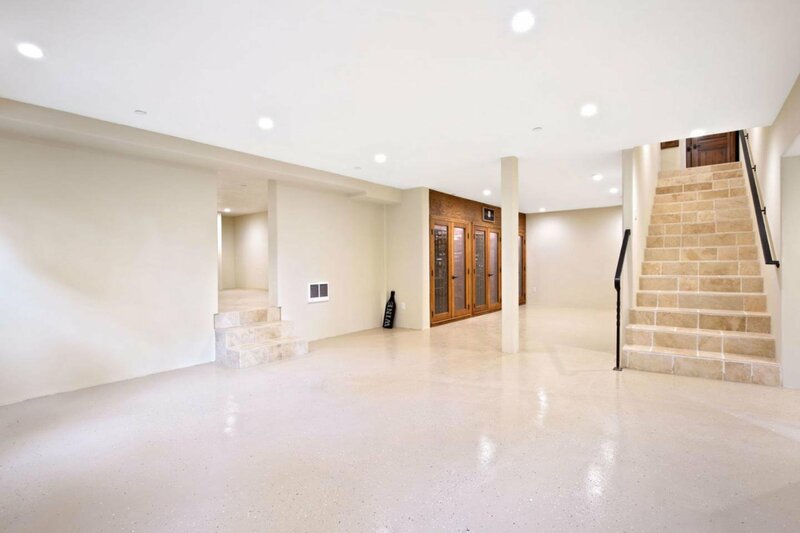 The home has a total of 3 bedrooms, 2 full bathrooms, and 2 half baths and a large, 2,000+ SF finished basement with wine storage that offers many possibilities.